(CNSNews.com) – Former Secretary of State John Kerry took to Twitter Wednesday to urge U.S. senators not to move ahead with legislation that he says could put the Iran nuclear deal – negotiated by Kerry, among others -- in jeopardy. His intervention came a day before the committee is due to consider the bipartisan Countering Iran’s Destabilizing Activities Act, legislation that seeks to impose new sanctions on Iran for ballistic missile launches, terror-sponsorship and other troubling behavior in the region. The bill deals with areas of Iranian conduct that were deliberately set aside as a concession to Tehran during the lengthy negotiations that delivered the Joint Comprehensive Plan of Action (JCPOA). It does not directly change the status of the nuclear deal, but former Obama administration officials and other key JCPOA supporters charge that it could cause it to unravel. Like other critics, Kerry suggested the new legislation is unnecessary since authorities already exist for the president to sanction Iran over its missile program. As President Obama’s top diplomat, Kerry worked energetically to sell to Congress a deal that eased nuclear-related sanctions in return for steps designed to prevent Iran from developing a nuclear weapon capability. As he did so he stressed repeatedly that non-nuclear sanctions – such as those imposed for missile activity, support for terror and human rights abuses – would not be affected by the deal. In the end, U.S. senators opposed to the JCPOA failed in 2015 to garner the 60 votes needed to advance a resolution disapproving the deal, and it came into effect in January 2016. JCPOA critics, both then and later, accused the administration of bending over backwards to avoid putting the deal at risk. Later last year Obama did use existing authorities to impose sanctions relating to Iran’s ongoing ballistic missile launches. 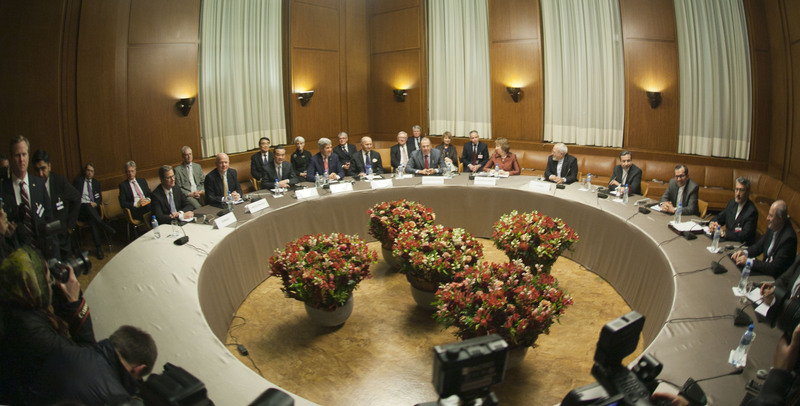 Kerry chairs the advisory council of a new organization called Diplomacy Works, which upholds the JCPOA as “a model of effective foreign policy” and includes on its council other former Obama administration officials, among them former undersecretary of state Wendy Sherman, who led the U.S. negotiating team in the nuclear talks. Early next month Kerry is scheduled to speak at the annual “Chain Reaction” gala hosted by Ploughshares Fund, which lobbied extensively for the JCPOA. Authored by Senate Foreign Relations Committee chairman Bob Corker (R-Tenn.), the Countering Iran's Destabilizing Activities Act (S. 722) has the support of another 34 Republicans and 14 Democrats, including the ranking member of the committee, Sen. Ben Cardin (D-Md.). Critics of S. 722 say it could put that commitment at risk, thereby placing the U.S. in violation of the JCPOA and likely provoking an Iranian response. Some are also concerned about how President Trump may use the legislation. “[I]n the hands of a president with poor impulse control who has threatened to rip up the nuclear deal in the past, the power to impose sanctions under vague authorities is a free pass for Mr. Trump to erode the agreement under the guise of congressional support,” Kelsey Davenport, director for nonproliferation policy at the Arms Control Association, wrote in an op-ed last week. Another point of contention is a provision to have Iran’s Islamic Revolutionary Guard Corps (IRGC) designated for terrorism under executive order 13224, a post-9/11 tool designed to disrupt funding to terrorists. 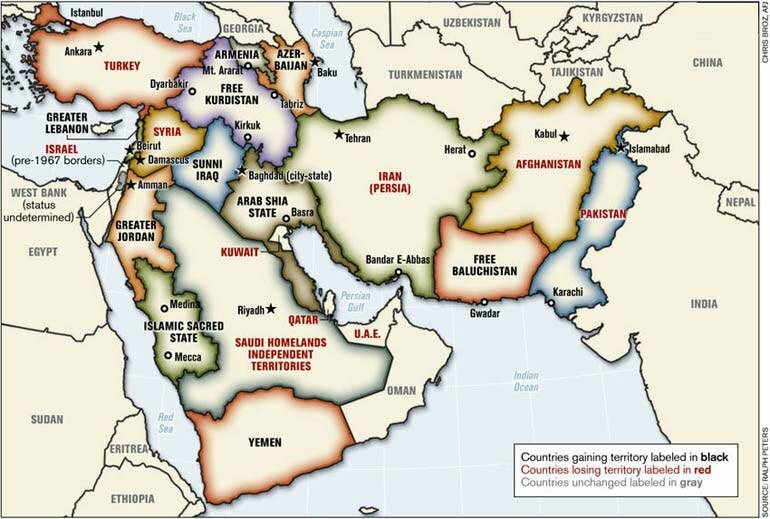 The IRGC’s foreign operations arm, Qods Force (QF), has already been designated under EO13224 since 2007 for providing support to Hezbollah, the Taliban and Palestinian terror groups. Testifying before a House Foreign Affairs subcommittee on Wednesday, Ilan Berman, senior vice-president of the American Foreign Policy Council, called the blacklisting of the IRGC “perhaps the most promising step” the administration could take in countering the Iranian threat. Noting that the IRGC “is believed to command as much as one-third of the country's total economy,” Berman said targeting it in this way would help prevent further normalization of international trade with Iran.